Anyone who has read Noam Chomsky’s ‘What Uncle Sam really wants’ would not get too excited when a US President, Secretary of State or Ambassador talks about democracy. Neither would they lose any sleep over such worthies speaking in somber tones about individuals, parties or governments they dislike. Chomsky’s book, published in 1993, traces four decades of US intervention in all parts of the world. 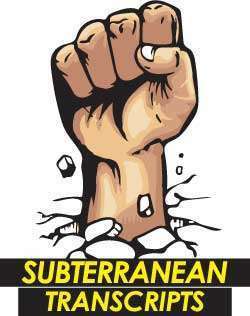 It is all about the use of subversion and force for economic and political hegemony. To achieve various ends the USA often supported violent regimes and dictatorships, Chomsky shows. For all the bleeding-heart talk about democracy, good governance and peace, the USA has had no qualms over propping up or placing in power, tyrants, autocrats, military juntas and brutal monarchies. Right here in Sri Lanka, we’ve heard one US Ambassador after another reading that tired script, except that they’ve been condescending, unapologetic and downright uncouth at times. Essentially they played Viceroy rather than Ambassador. At times it is about the USA’s economic interests. Teresita Currie Schaffer said at a seminar held at the Agrarian Research and Training Institute in 1993, ‘your food security lies in the wheat fields of North America’. That was a time when USAID was pushing the then government to cripple rice cultivation. In more recent years Robert O Blake (2006-2009) did his utmost to sabotage the military offensive against the LTTE, clearly intent on finding ways to ensure that this terrorist organization lives to fight another day. His successor Patricia Butenis had a sordid track record in Iraq, Colombia, El Salvador and Bangladesh. At a farewell speech at the Gulshan Club, Dhaka, she had said that though some Bangladeshis believed she was sometimes too outspoken, this was because Ambassadors must be clear about their country’s interests and viewpoints to avoid misunderstanding. I was told that Dr. Abdullah Dewan, Professor of Economics at Eastern Michigan University and a Bangladeshi American had observed: There was no ‘misunderstanding’ on our part; she was not just outspoken”, but openly meddled, apparently beyond her mandated duty, in the internal affairs of a sovereign country and made it look like a client state of America”. That says it all. 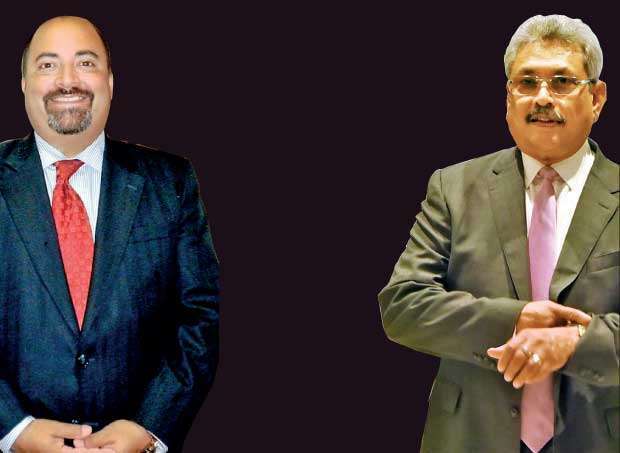 And that’s why no one should be surprised at outgoing US Ambassador Atul Keshap’s tendentious comments on the Sri Lankan political situation and potential presidential candidate Gotabaya Rajapaksa. The comments that appeared at length In a Jaffna-based Tamil daily were translated and posted by well-known political commentator D.B.S. Jeyaraj on his blog. That’s rich. Here we have a representative of a country which was built on and sustained by war crimes, crimes against humanity and human rights violations wearing a halo and waving a saint’s wand. Now it’s true that we have only the word of the person Jeyaraj has quoted, Nadesapillai Vithyatharan, editor of the Jaffna-based ‘Kaalaikkathir’ (Morning Sun). Keshap has not, as of yet, denied the story. Two things need to be said however, given what the USA was and is. Firstly, if the USA supports any individual, party or government in any country, it should be treated as a red light. Secondly, if the USA vilifies anyone, any party or government, there’s a strong likelihood that such entities are likely to have some credence in the eyes of the particular polity, at least to the level that they deserve consideration. Gotabaya has not been charged by any US court of law as of now. Not that we trust the US justice system any more than we do ours of course. The issue of citizenship can come into the frame if and only if he is taken to court. If the intention is less about concern over rights violations (and we know the USA is big on talk and lethargic or at best selective on action) than about outcome preferences that are in the interest of the USA, then we need to be concerned. Whether Gotabaya is in fact interested in becoming President, we don’t know. If he is, and if the USA intervenes along the lines that Vithyatharan reports Keshap has outlined, that’s Gotabaya’s problem first and foremost. The citizens of this country need to have a different take on all this. First, knowing the pernicious ways of the USA, we would need to revisit the relevant caveats in the 19th Amendment and amend them forthwith purely on the basis of retaining sovereignty and not allowing foreign governments to dictate this country’s political process. Secondly, we need to revisit the entire narrative about the money that the USA has spent on certain candidates and political coalitions. Thirdly we need to treat with utmost suspicion and contempt all those who benefited from the largesse of the US State Department. Today, it is clearer than it was three years ago, that this regime gives not a hoot about things such as democracy, good governance, transparency and accountability (never mind that it is made up of the most incompetent and confused bunch of leaders to rule this country since Independence). That money, even if it was ‘invested’ for democracy, has delivered crumbs in return. Even if it had yielded much more, it’s still interference that is clearly an infringement of established diplomatic protocol. Finally, even if Keshap has not said anything of the sort, it is high time that the people of this country pay careful heed to everything that the US Embassy in Colombo says and does, for none of it is about ‘friendship’ but all of it is about serving US interests which, as history has demonstrated amply, do not coincide with the interests of the particular countries and citizens. Keshap has had an easy time than did his predecessors because this is a US-friendly regime. The truth is it is a regime that happily genuflects before Uncle Sam. Even if Vithyatharan was mistaken we need not be mistaken about the thinking of the USA. Given the doldrums that this regime is languishing in right now, there is a palpable possibility of regime-change and in a direction that might not be to the liking of the USA. Keshap’s successors may have to take on a tougher assignment. Perhaps Keshap will give an official farewell speech somewhere. Perhaps he will tell us the truth about this conversation he’s said to have had with Mahinda Rajapaksa. I hope he does. I will be listening and I hope all citizens of this country listen too. Such statements tell us a lot. Malinda Seneviratne is a freelance writer. This guy Athul Keshap is an Indian Parasite from USA. His primary interests are Indian. Got nothing to do with USA. Uncle Sam is a “Democrat”, but his ways of behaviour is mywterious. He took promises from Colonel Gaddafi and at the end mudduered him using his own men. Iran promised to stop Atomic reseach and afterwords took it under his control. Syria too came under his survey and he attemped to destroy it but he mangaed to destroy more than half of it but thanks to Russia could not”clean” upto set his Democracy working in Syria as well. He changed regimes in Sri Lanka and has almost succeeded in communally dividing it to his satisfaction. Wait and see what will happen to North Korean President who Uncle Sam still calls a dictator in near future if Russia and China would not keep an eye.